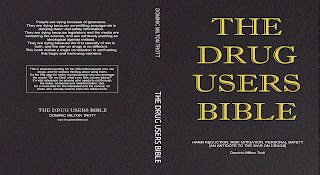 In 2019, The Honest Drug Book was significantly extended and renamed to The Drug Users Bible. It now spans some 514 pages and is lavishly illustrated with hundreds of photographs. The full table of contents can be viewed on this web page. This is a journey through over 150 psychoactives, both chemical and botanical, each of which was self-administered by the author. For each drug, it lists the fundamental and sometimes life-critical information, including the onset time, the common threshold doses, and anticipated period of efficacy. It presents the hidden truth about a topic which touches the lives of almost everyone, cutting directly through the rhetoric and misinformation of the war on drugs. It also describes the subjective experience of each drug, describing the actual effects, including those which were sometimes extremely difficult to overcome.. These reports are crucial, as they identify possible pitfalls, and enable an assessment of the degree to which judgement and control are maintained or lost. Sometimes this achieved in a humorous and anecdotal manner. 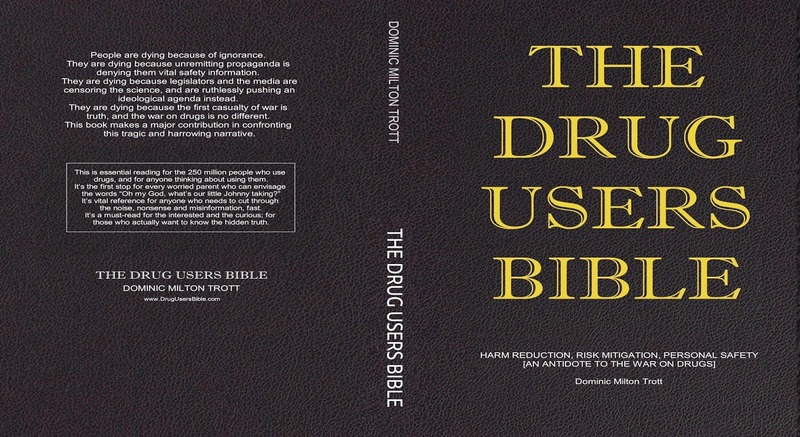 In addition to the study of individual psychoactives, the book is crammed with general information, including of relative harm tables, addiction and overdose advice, legal briefings, a drug dictionary and even travel advice (noting that the author travelled the world to undertake the experiments lawfully). Emphasised throughout is personal safety, harm reduction and risk mitigation. This guides the entire narrative. Included, for example, are safety procedures, such as the widely circulated '10 Commandments of Safer Drug Use'). This is a book that won’t only fascinate and inform the casual reader: it will ameliorate suffering and save lives. This website presents and number of sample pages from the book itself, in addition to an introduction to its four major sections (The DrugScape, A Chemical Journey, A Botanical Journey and The WorldScape). The specific segments added to the original book for the upgrade are listed on this page.